Centuries ago, the human race fought its first great war against an alien race - and lost. A tiny population of human beings fled to distant Safehold. Centuries later, their descendants have forgotten their history; for them, life has been an eternal Middle Ages, ruled by the Church of God Awaiting, whose secret purpose is to prevent the reemergence of industrial civilization. But not all of Safehold's founders were onboard with this plan. Those dissidents left behind their own secret legacies. For centuries, the world of Safehold, last redoubt of the human race, lay under the unchallenged rule of the Church of God Awaiting. 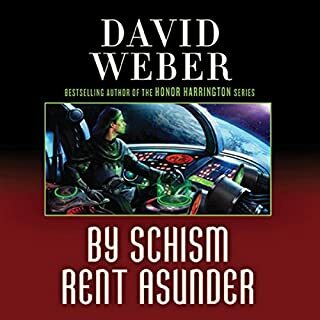 The Church permitted nothing new - no new inventions, no new understandings of the world.What no one knew was that the Church was an elaborate fraud - a high-tech system established by a rebel faction of Safehold’s founders, meant to keep humanity hidden from the powerful alien race that had destroyed old Earth. Then awoke Merlyn Athrawes, cybvernetic avatar of a warrior a thousand years dead, felled in the war in which Earth was lost. The Star Kingdom's ally, Erewhon, is growing increasingly restive in the alliance because the new High Ridge regime ignores its needs. Add to that the longstanding problem of a slave labor planet controlled by hostile Mesans in Erewhon's stellar back yard, a problem which High Ridge also ignores. Finally, the recent assassination of the Solarian League's most prominent voice of public conscience indicates the growing danger of political instability in the League - which is also close to Erewhon. In desperation, Queen Elizabeth tries to defuse the situation by sending a private mission to Erewhon led by Captain Zilwicki, accompanied by one of her nieces. 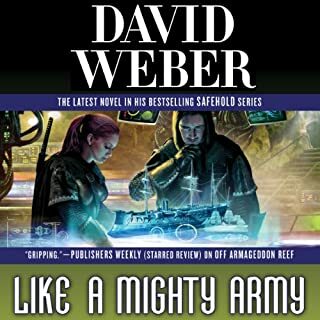 When they arrive on Erewhon, however, Manticore's most capable agent and one of its princesses find themselves in a mess. 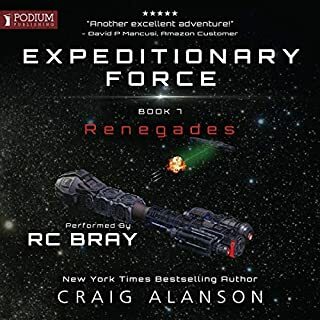 Not only do they encounter one of the Republic of Haven's most capable agents - Victor Cachat - but they also discover that the Solarian League's military delegation seems up to its neck in skullduggery. And, just to put the icing on the cake, the radical freed slave organization, the Audubon Ballroom, is also on the scene - led by its most notorious killer, Jeremy X. Listen to another Honor Harrington adventure. 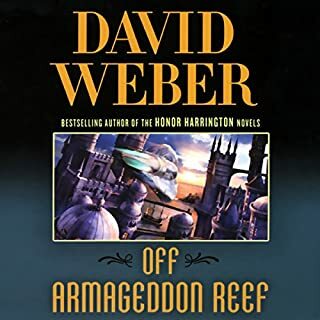 ©2005 David Weber (P)2009 Audible, Inc.
A novel set in the Honorverse, and if the main Honor Harrington series is being followed, I'd recommend that this be listened to after "War of Honor", as this will help to explain events that the listener will come across in the main series. 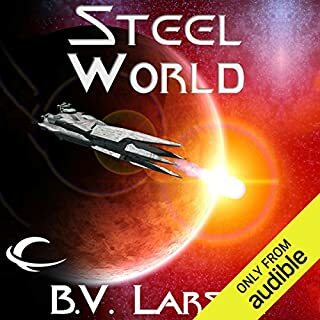 Really enjoyed the story, but I have to knock one star off as the pronunciations of some of the main character names were off as compared to the books that have been narrated by Allyson Johnson - e.g Crom-arty in the main story becomes Cro-marty. A fairly trivial issue, but having just listened to all 12 of the main Honor books, it took a little adjusting to get round. the narrator is terrible. not suited for a book with so many characters. female voices are done so bad and something funny happens when he changes chapters - I kept going back 30 seconds coz I thought my chaper was cutoff. I just wish narrator was consistent in his accents. He also pronounces everything wrong... but it's consistent so I just roll my eyes when it happens. I have to get the next book coz I need to know what happens but im dreading this narrator. 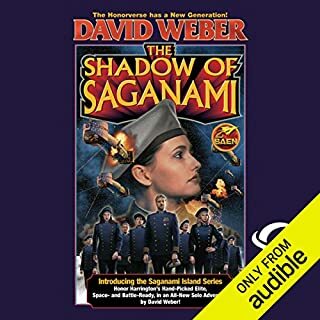 This book didn't have much of Honor in it but I still loved the STORY. I was worried I wouldn't but I did! everytime someone sticks out their tongue I imagine the All Black's Haka and it sends shivers down my spine! write more books please! 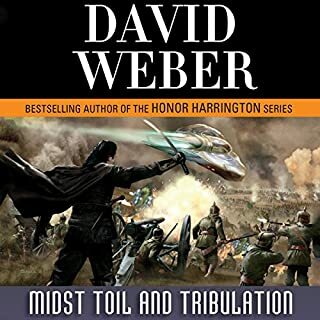 The 9th (Ashes of Victory) and especially the 10 ((War of Honor) books in the Honor Harrington mainline series were definitely a sign that David Weber needs to be reined in by the editors at Baen, since the writing was very flabby. 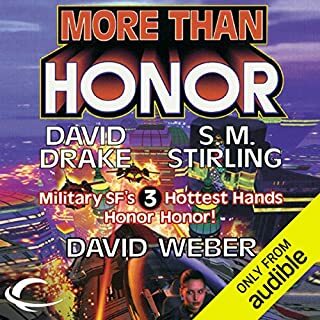 The 36+ hours of War of Honor could have easily been a MUCH better book at 15-20 hours. 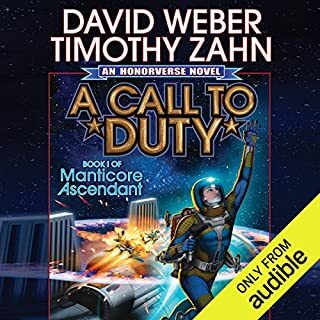 Here we have 19 hours of tight, well written, and well read Honorverse. I enjoyed all of it without a single place where I just hit fast forward. Crown of Slaves focuses on the Genetic Slave Trade and the fight against it, along with the creation of Torch. Honor herself is essentially not a part of the story. But instead we have more of the Zilwickis and Victor Cashet, with the first appearance of Ruth Winton, niece of Queen Elizabeth. Enjoyed this story and I also would have preferred Allyson Johnson as the narrator but at least Peter Larkin does a better female voice than Snyder. The other books mention the new slave star kingdom of Torch, so it was great to hear the story of it's creation.. The life of Midshipman Helen Zilwicki was covered in another sub-series. This book covers the creation of Queen Barry Zilwicki and the star kingdom of Torch. The action of the two young girls gave an excitment to the story as Princess Ruth Winton was so enthralled with her role as the computer spy for the control of Congo. This book fills in the detail that other book in the series did not cover. Can not wait for the next in the series. 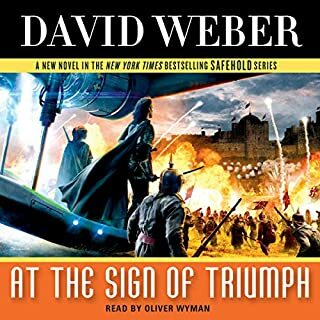 I do hope Audible will carry all the books in these sub-series. The story is what I'd give four stars to. As for the narrator, Peter Larkin, I'd give two and a half, maybe three. He mutters too much, and it makes it hard to understand what he's saying at times. They should have used either Allyson Johnson or Jay Snyder. The narration hinders a great story. 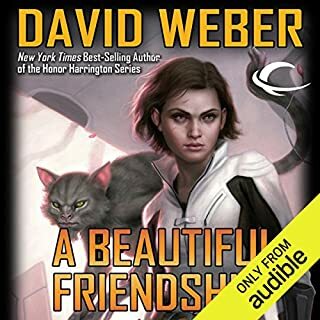 I really like this offshoot of the main Honor Harrington series, having read the books myself before listening to the audiobook. The story rips right along, and the characters, as usual, are richly developed. By the time the story ends, you're glad for the time to catch your breath, but annoyed that it's over. Thank goodness the next book is already written! All of this makes the two major deficiencies in the narration all that much more disappointing. First, I found the narrator very difficult to listen to because he was always changing his volume levels. He often spoke so softly that I needed to turn up the volume to even hear. Then in the next breath, he would be too loud for that increased volume, so I had to turn it down again. Second, Mr. Larkin was quite good at his vocal characterizations, except for some of the female characters. In particular, his voices for Berry and Ruth make them seem very child-like throughout, even at times in the story where the characters are anything but childish. I found this detracted greatly from the story. 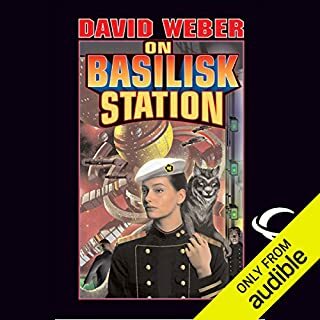 I would say that if you are going to be listening to this audiobook in a quiet place where the voice level shifts will not bother you, the story is still well worth the listen. 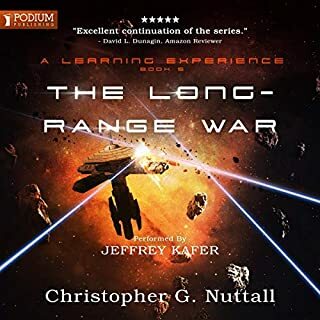 For myself, I have the next audiobook in the series, but after that, I will not be continuing with it any further unless the narrator changes. 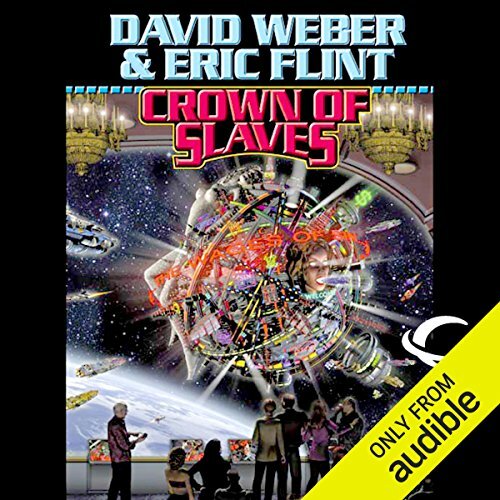 Where does Crown of Slaves rank among all the audiobooks you’ve listened to so far? Somewhere in the middle this is good old entertainment not an epic story but a good read. 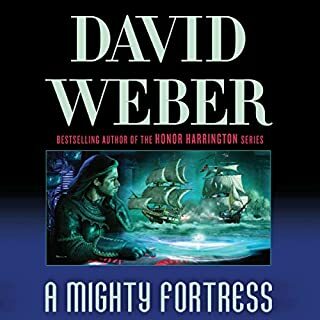 What other book might you compare Crown of Slaves to and why? 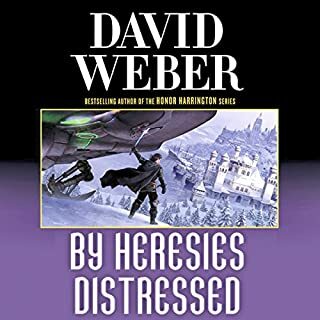 This is another in a long line of Weber books if you have not read all are at least some you will be missing a lot in the story although it is a stand alone book. Have you listened to any of Peter Larkin’s other performances before? How does this one compare? I have never listened to Peter Larkin"s performances before but his is a very can make it come alive..
not realy just a good read. 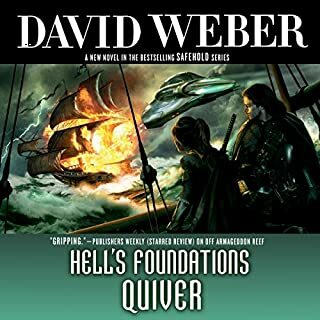 As always I will stop and buy a new David Weber book any time I see a new one. All I can say is that I liked it enough to buy the second listen in the series. 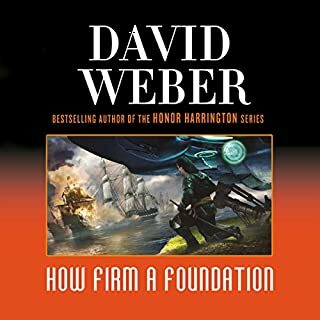 This book is the first in a series that fills in the gaps in the Honor Harrington series by David Weber. Incidents mentioned in the Honor Harrington books are more thoroughly detailed in this book and series. Wanted to here the "complete" story starting with "Crown of Slaves". No. However his performance is excellent. Not really, It is 19+ hours long. I believe this is one of the best if one has followed the series. I gave it and the narrator [ Peter Larkin] 5 stars. It tells about political situation which occurred after Highridge's government neglect of Erewhon‎. During that situation Erewhon‎ sold star alliance Tech to PRH, also there are some more interesting events. Narrator wasn't bad, it just took some time to adjust. 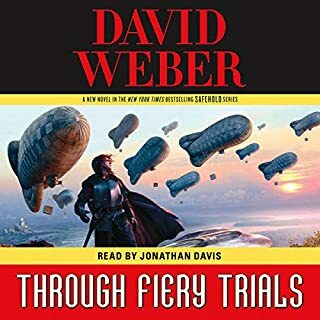 The narrator is hard to hear and understand even at max volume. I also was not impressed with his general storytelling or voices.